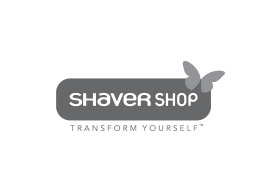 Shaver Shop is a specialist personal grooming retailer that has successfully operated in Australia for nearly 30 years. Shaver Shop is a proudly owned and operated Australian retailer that has built up a trusted & respected brand through a simple philosophy involving good old hard work and customer service. We pride ourselves on having the best product knowledge of any retailer in the world. At Shaver Shop, we believe we should offer the customer the best possible advice at the lowest price. We are fiercely competitive on our pricing policy and we take all possible steps to ensure our customers have the widest range of grooming solutions at rock bottom prices.Shaver Shop is a specialist personal grooming retailer that has successfully operated in Australia for nearly 30 years. Shaver Shop is a proudly owned and operated Australian retailer that has built up a trusted & respected brand through a simple philosophy involving good old hard work and customer service.